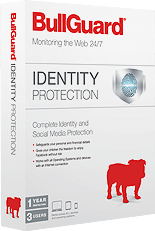 As online threats become increasingly more sophisticated you need to ensure that your security moves at the same pace, new therats are being discovered all the time so it is important that your Internet Security is regularily updated. The recent cyber-attacks in the news demonstrate just how much damage these hackers can cause to unsecured, or poorly secured computers. If you don't want all your information locked and then ransomed back to you, or your identity stolen then Internet Security really should be your top priority. 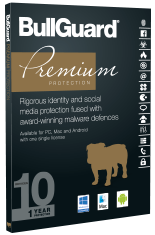 We have partnered with Bullguard for many years, not just because they get the best reviews on both PC's and MAC's, and not because they constantly win awards for their security products, and not even because they get great reviews in publications such as The Guardian, The Sun, Huffington Post, Techcrunch and even on the BBC. No the reason we stick with Bullguard is because it simply keeps you safe and is easy to use but powerful enough for the most demanding user. 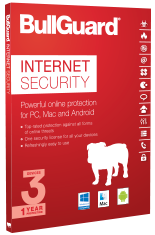 We use Bullguard to protect all of our computers, we wouldn't reccommend it to you until we tested it on our computers as we are quite demanding users we believe that it it protects us well then it is good enough to get our recomendation. Don't take our word fot it. 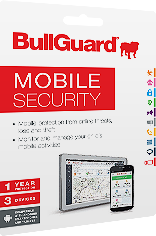 Although we hope that you value our recomendations we don't expect you to just take our word for it, instead we have a free trial of Bullguard especially for you to try on your own computers so you can see why we rate Bullguard so highly.